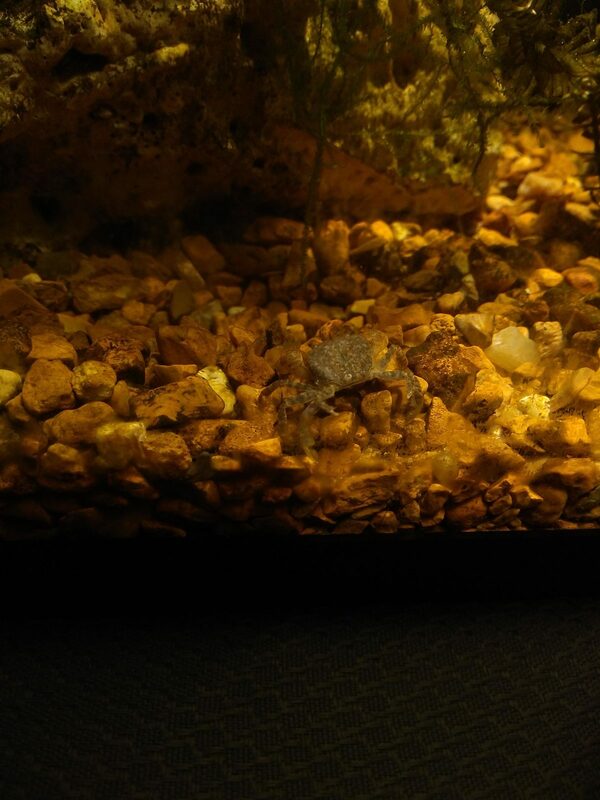 I know this is off-topic to this forum's purpose, and I hope this is allowed, but I was wondering if anyone had any information on the freshwater pom-pom crab. They seem to be pretty new (or at least rare) in the hobby, and seem to be relatively hardy and easy to care for - but there's very, very little information on them online. Everything I'm seeing is either from vendors (which I tend not to trust), or is from forums with little actual information attached. I went to the LFS to see if they had any cool corals or inverts in from the latest shipment, and ended up finishing the stock in my freshwater 5.5 gallon. 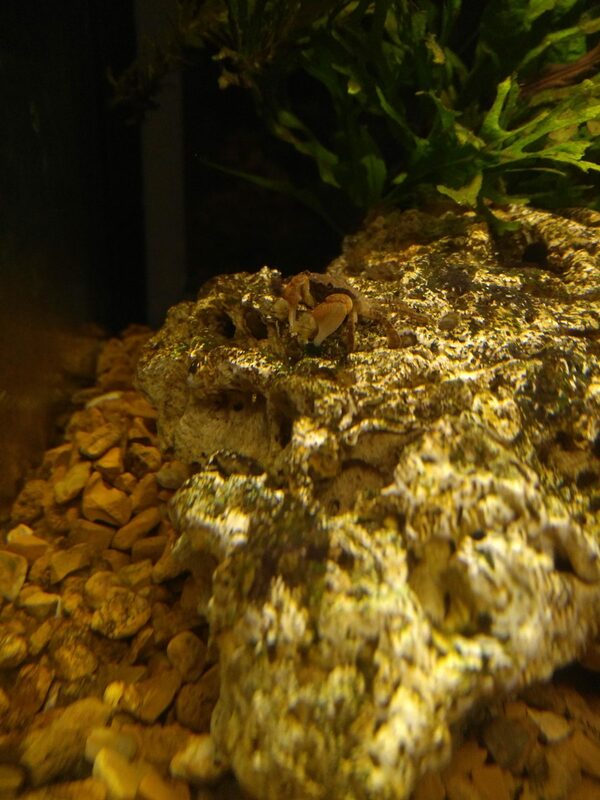 I picked up a trio of male endlers, 9 ember tetras (2 of which basically died in the bag, I assume due to immense stress), and a freshwater pom-pom crab to add to the pre-existing two ghost shrimp. This tank is definitely heavily stocked (overstocked, for some) but I'm pretty religious with water changes and am a believer in letting plants and algae do a lot of the work for you. 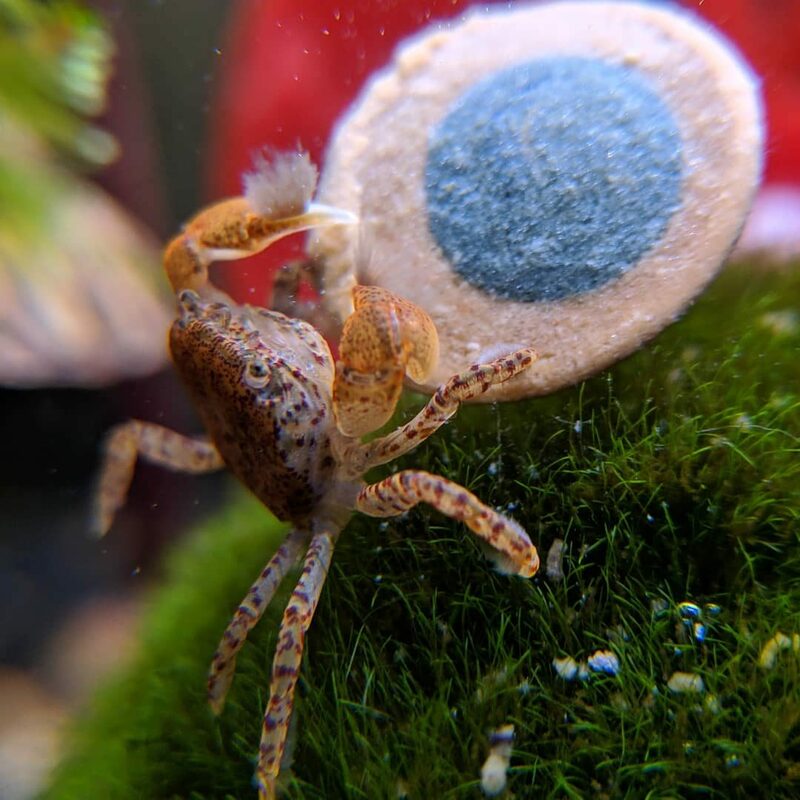 Everyone has settled in nicely (with some good schooling action from the tetras as they follow the endlers around), and the pom-pom crab has made a few appearances too. Mostly picking at algae on the rocks and such. I'm assuming that this guy will eat algae, frozen shrimp, and maybe dried seaweed - anyone know differently? i would assume the pom poms on a freshwater are not anenomes but most likely filter grabbers, sort of like a bamboo shrimp, as i have never even heard of a freshwater / brackish water anenome, which salt water pom poms have. Yeah, they're not anemones. 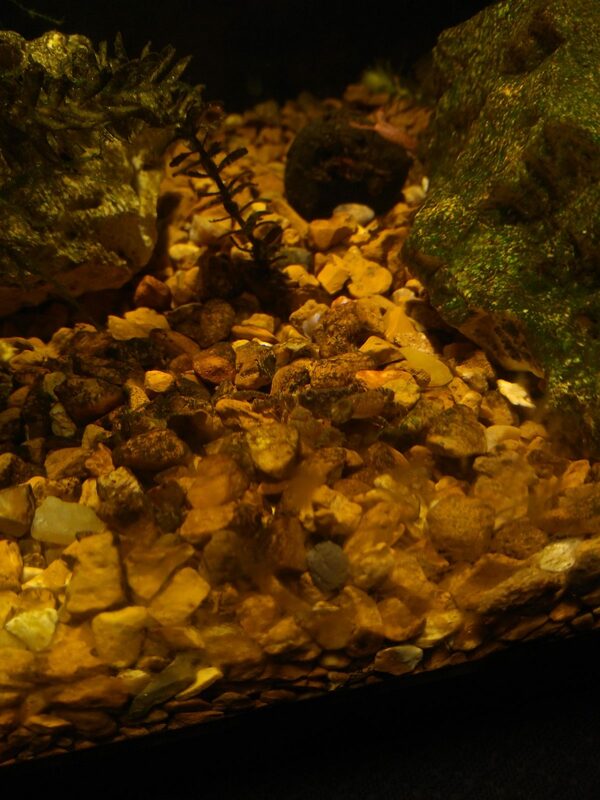 They're filter fans, similar to what bamboo shrimp have. @Tigahboy you just got one right? Yup, picked up a couple from AquaticArts.com which has useful care info on them on their website. They hide a lot but are super cute. Supposedly easy to care for and peaceful. They live with my Endlers. I haven't seen my guy yet today - hopefully he's just hiding, and he didn't die from shock or something like that. He was pretty active on the way home in his cup, so I think he was relatively healthy. Had all of his limbs, too. Have you spot-fed yours any? Only had mine since last Tuesday and they were hiding quite a bit the first couple days or so. But I see them out a bit more now. I have fed them PlecoWafers a few times but remove whatever they dont end up eating. Just moved all of my tanks around (made myself a DIY stand/desk! ), and when I had the water drained I saw him out and about. Pretty sure he took up shop in the Java Fern, but I'm not sure. At least I know he's alive! I don't have any algae wafers on hand, but maybe he'd go for either red seaweed, nori, or frozen shrimp? Thanks for all the help! Never really kept any FW inverts other than some Ghost Shrimp and Cherry Shrimp, and was worried I'd kill this guy right off the bat. He's been out and about quite a bit today, and I've seen him picking at random plant litter and a bit of red seaweed, so I know he's eating. 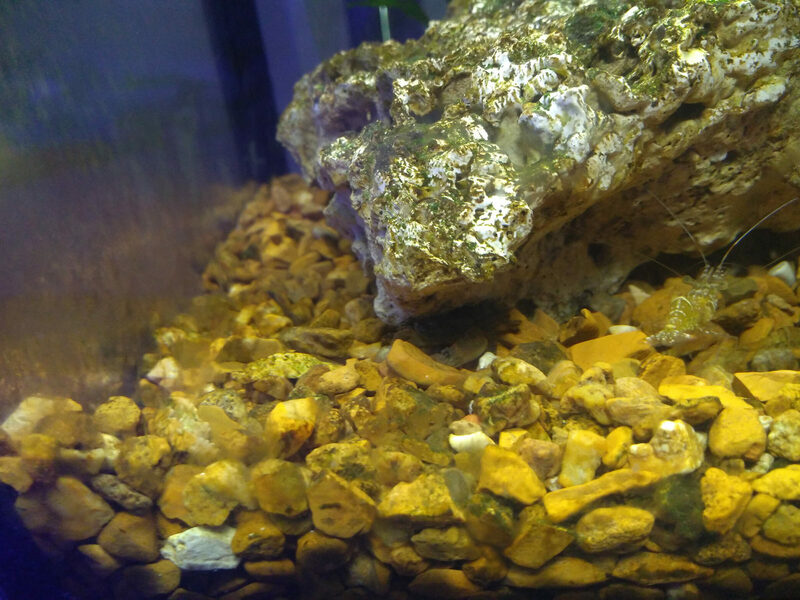 Found one of my pom poms dangling over the edge of the tank last night. Yikes! I had heard that they could be good escape artists, but I hadn't thought that they could actually crawl out of the tank. I have a glass lid on my tank, but I'll make sure to keep an eye out for that. Pretty crab, though. My guy has become much more active and bold. Out on the rocks, climbing up the val and the anacharis, and competing for food with the shrimp. Very cool little thing. @Fisker, yeah he/she climbed up the HOB filter intake. I was surprised as well. Both my poms are also out and about a lot more now (unlike their SW counterparts). Really fun to watch. 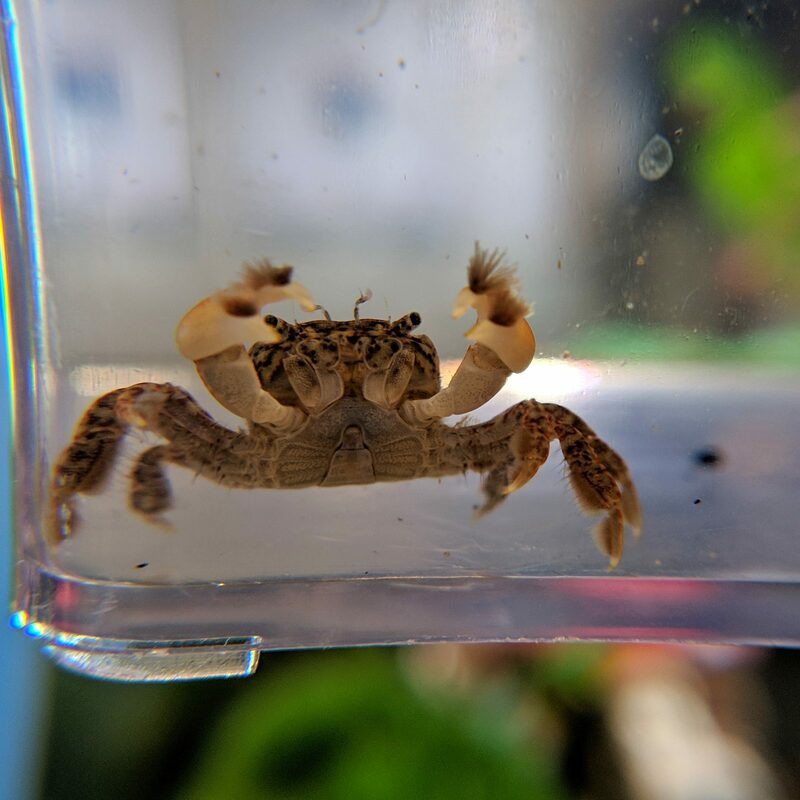 So, after some time settling in, getting some good food, and me keeping my hands out of the tank, it seems like my pom pom crab has settled into the life. He's out almost all day scavenging and such, and has become an avid digger - a behavior I wasn't expecting. He'll find a spot in the gravel, and start moving rocks around, like he's carrying a boulder or something. I'm not sure if he can sense that there's food there, or if it's just a habit, but he usually finds some mulm or something. 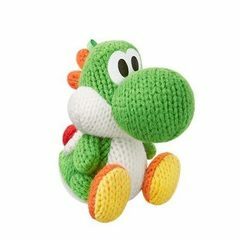 I've noticed that his pom poms are also turning a bit green as well, which I hope is a good sign. I know that there are photosynthetic organisms that grow on their pom poms, so I'm hoping that's what's happening. Still one of my favorite creatures to watch, for sure. I'm considering changing this tank over to sand - I just don't want to accidentally hurt the little fella!